"The Lost World of Dragons" is an interactive exhibit at the Wilbur D. May Museum at Rancho San Rafael Regional Park in Reno. 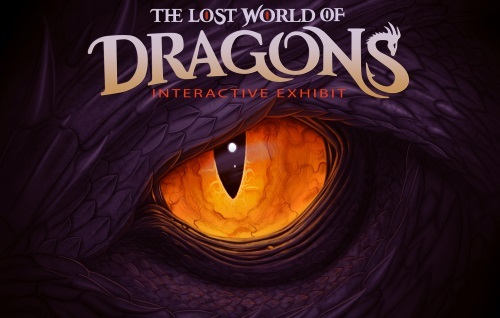 You can come and explore the stories and mythology of dragons from January 31 through May 12, 2019. The exhibit is a world of fantasy and adventure for visitors of all ages. Get a thrill from larger-than-life animatronic dragons. Try out a virtual reality experience that lets you ride a flying dragon. Sit on a throne and sneak through a dragon's lair, and much more. The entry fee to Lost World of Dragons is $10 for adults, $9 for children 3 to 17 and seniors. Kids under 3 are free. Hours at the Wilbur D. May Museum are Wednesday through Saturday, 10 a.m. to 4 p.m. and Sunday from 12 noon to 4 p.m. The museum is closed on Monday and Tuesday. Source: Information and images courtesy Wilbur D. May Museum and Washoe County press release.